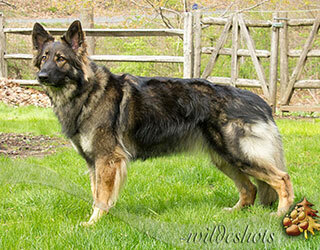 "Our Shiloh Shepherds are raised in our loving home located in New Jersey. Our goal is to produce healthy, loving family companions that should also excel in obedience, herding, service and therapy dog work as well as having good conformation for potential show prospects. We welcome and always encourage visits!"